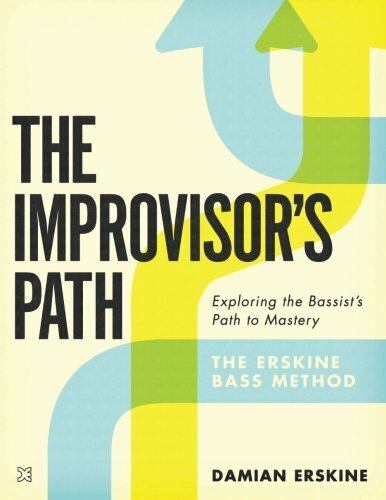 The Improvisor's Path explores the bassists path to mastery. 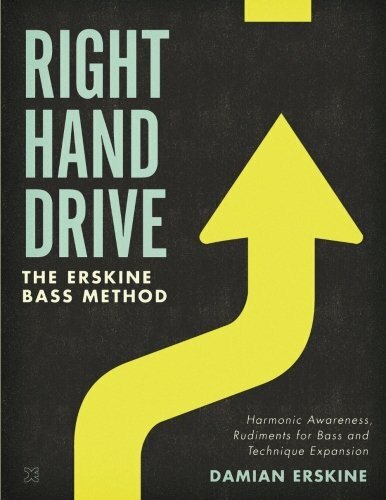 It is a study of harmony, rhythm, improvisation and fretboard awareness for the modern bass player. This book takes the reader on a systematic exploration of harmony, chords, scales & modes, practice techniques, chord changes, fretboard awareness and more. Viewing it all through the lens of mindful and intentional growth. Right Hand Drive primarily explores Damian's unique, 3-finger, percussive style of using his plucking hand. It contains a wealth of patterns, grooves and exercises specifically tailored to developing this technique. Readers are also presented with a myriad of ways to practice combining harmonic and rhythmic exercises and use them to explore harmony in new ways. Regardless of your chosen techniques, readers will discover how to incorporate them in exciting ways and learn how to create exercises of their own. "...While introducing this almost flamenco-like method, there are a number of great scale and rhythm exercises included along the way. As the exercises get more complex, different "rudiments" are listed (somewhat based on the category of essential patterns used in drumming), as well as fills, licks, and solos.